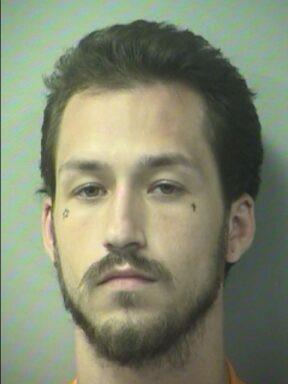 WALTON COUNTY, Fla— A barefoot burglar caught on surveillance video stealing cigarettes from the Boggy Bayou Convenient Store is behind bars. Walton County Sheriff’s Office received numerous tips regarding the identity of the barefoot burglar who shattered the front door of the business on August 29th as cars drove past on Highway 20. On October 19th investigators paid a visit to Christopher Jones, 21, who is incarcerated at the Okaloosa County Jail following a tip he was responsible for the break-in. After he was read his rights, Jones admitted to stealing approximately $100 worth of cigarettes. During questioning, he said he broke into the store to steal a smoke because his wife was filing for divorce. A warrant was signed for Jones arrest on October 25th. He is being charged with burglary, criminal mischief, and petit theft. Walton County has placed a hold on Jones who is facing unrelated charges in Okaloosa County.